The Column & Post patent pending NEW Caulk-n-Walk White Seamless Column takes column installation to the next level with the white, paint optional, columns. 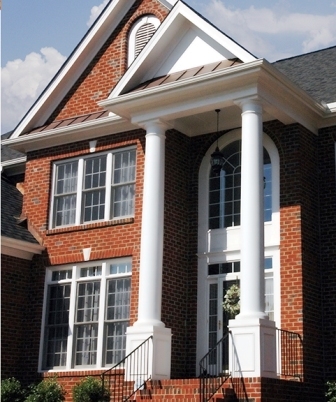 These columns are easier to install, do not require finishing and there is no parting line. The white seamless column along with the Plumb Perfect installation system will make completing your column project easy while saving the installer valuable time and money. Simply caulk around the bottom of the capital and top of the base and walk away!